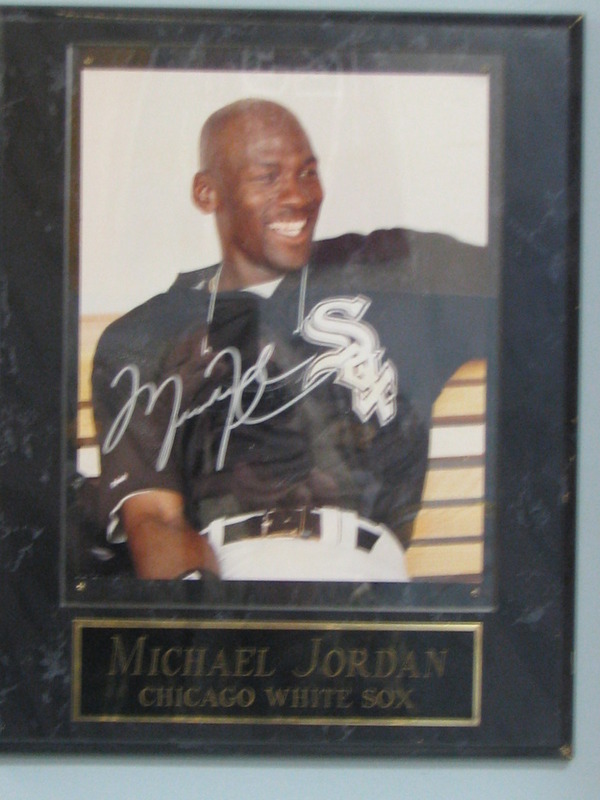 Jordan White Sox signed picture. 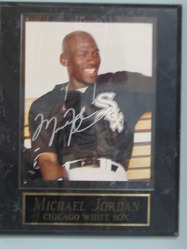 Michael Jordan autographed White Sox 8x10 plaqued. Comes with COA. All items are deemed AUTHENTIC and have a LIFETIME MONEY BACK GUARANTEE for the FULL PURCHASE PRICE.